As you all know I've been telling you guys about me wanting to rest but it doesn't mean that I will not be posting anything. 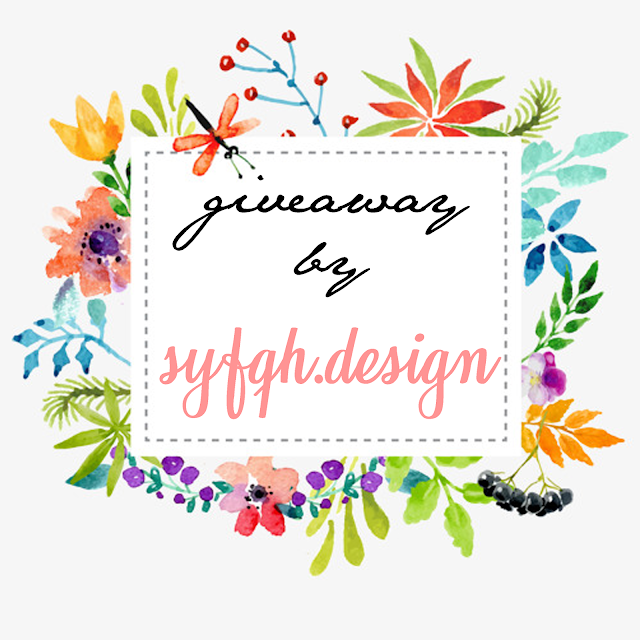 For my dear blogger Syfqh I would gladly join her special giveaway for her birthday. This seems to be her very first giveaway, so let's join and support her okay. It's easy and yes I am definitely joining. I don't mind as I don't even have to sweat for this one. I'm not good with pretty words but as she would want me to describe her blog I'll try my best to do so. The very first impression I had every time I saw her blog was, I thought it was so pretty especially with that floral background. Somehow I felt calm every time I visited her blog. I really love that background, I'm dead serious. The color combination was really harmony (I'm not sure if I describe this right but I hope you'll understand what I meant to say). This ends on 14th of January 2018.
thnk you so much akak cntik..